If we don’t type absolute path, it mean that we are copying a file on current directory. 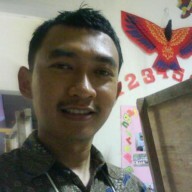 From example above, myfile.txt is located in /home/pungki/Documents. We don’t have to type /home/pungki/Documents/myfile.txt to copy myfile.txt if we are in that /home/pungki/Documents directory. While /home/pungki/office is a folder where the file will be copied. Creating symlinks only can be done in current directory. On screenshot above, we want to create symbolic links from source directory - /home/pungki/Documents/file_6.txt to /home/pungki/office. But to create symbolic links, I must inside /home/pungki/office as a destination folder. Once I manage to be there, I can run cp -s command above. Meanwhile, in /home/pungki/office directory, we already have all *.txt files. When we use -u option, combined with -v option to see what is being done, cp command will only copy a file(s) which is newer from destination directory. 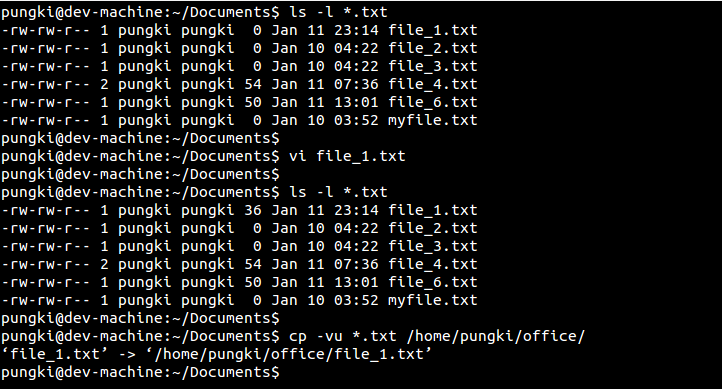 As the result, we see that only file_1.txt is copied into /home/pungki/office directory. Interactive mode will ask if the destination folder has already the file. To activate interactive mode, use -i option. Cp command also provides us with --attributes-only option. As we can guess from its name, this option will only copy a file name and its attributes without copying any data. Here’s a sample. From screenshot above, the original file_6.txt file has 50 bytes file size. Using --attributes-only option, the copied file will have 0 bytes file size. This is because the content of file is not being copied. To do this, we can use --remove-destination option. This option is contrast with -f option above. If the cp command find the same file name on the destination folder, cp command will remove destination file first, the copy the new one. Here’s an example. Cp command is one of the basic Linux commands. 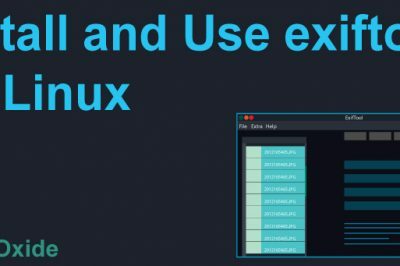 For those who want to learn Linux, must know this command. 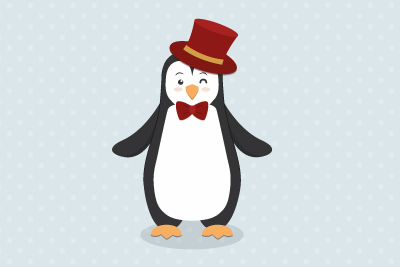 Of course, you can type man cp or cp --help from your console to display its manual page to explore more detail.